【Fade Resistant】：We use a high quality dye to effectively prevent fading,can be maintained the color. 【Prevent Dust Design】：The premium nylon green golf flag can effectively prevent dust sticking up,keep the green flag clean,what's more,it is very easy to clean up and can quickly dry. 【Smooth Surface Design】：The surface of our practice green golf flag is very textured and the workmanship is very fine,So this flag looks very beautiful and delicate. 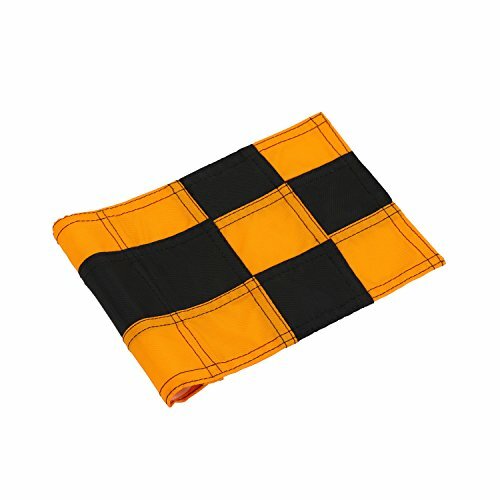 【Durable Nylon Material】：The practice green golf flag made of high quality nylon can prevent tearing and ultraviolet rays,can withstand any extreme conditions like sun, rain, snow. 【Multiple Colour and Set To Choose】：There are many colors to select,like red,blue,green,white，yellow,single color and mixed color, you can buy a single or in a package，so you can order exactly what you need. If you have any questions about this product by KONDAY, contact us by completing and submitting the form below. If you are looking for a specif part number, please include it with your message.